With so many service providers, changing technology, various types of phones, commercial contracts are distinct yet contain all those hidden clauses you wish carriers would simplify and make less diverse, and remove the empty meanings along with the penalties. In a perfect world we wouldn’t need telecom contract management. We wouldn’t have service Level Agreements, also known as SLA, or Minimum Annual Revenue Commitment (MARCs), or contract termination fees. But in this diverse world of high technology we must have legal ease with terms and conditions to protect our business. Since lawyers and consultants turn to Auditel for contract analysis, don’t wait until contracts expire before having Auditel review yours. Auditel can give your company the knowledge necessary to review the complex terminology within your contract terms and conditions. We, bring out all the clauses you may not understand and check for termination fees and penalties for non-compliance. We analyze the current Telecom Service Provider Service Agreements and various contracts including Minimum Annual Revenue Commitment (MARC), and Service Level Agreements (SLA). With our telecom contract management contracts are scrutinized. We compare and verify any revisions, or addendum changes to the original signed agreements. We research and review the commercial contract terms and conditions within your telecommunication agreements and give you the knowledge needed to make a difference. 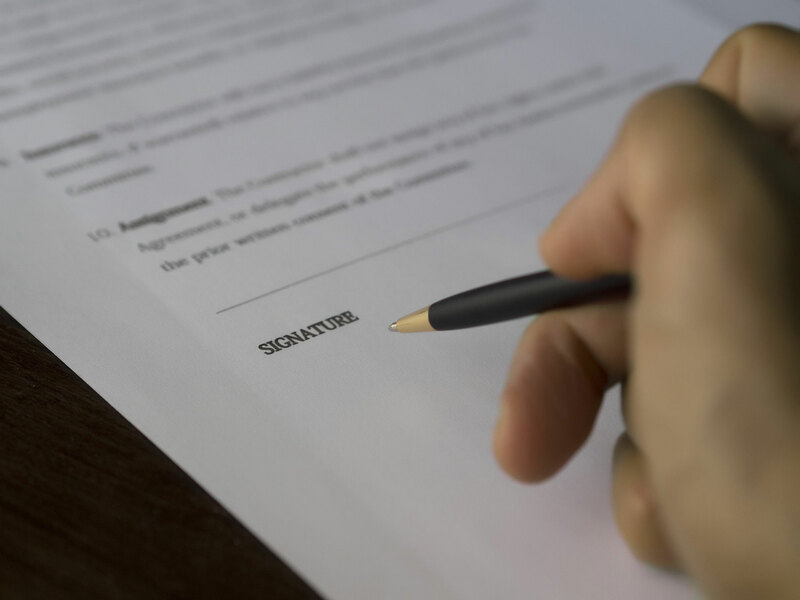 What should my business do prior to contract expiration? To obtain the best contract rates from your current service provider, a detailed inventory from all your service locations is helpful. If you don’t have one, Auditel can quickly develop it with our telecom audit with no added fee. We include inventory with our contingency based audit. What should my telecom inventory contain? This full detailed inventory for voice, data, and wireless should include each service providers name, exact contract details including telecom contract start date and expiration date but most of all include the contract termination date that you must cancel the contract prior to renewal. Most telecom contracts include a contract renewal clause and your job is to find the cancellation policy and time in which you have to notify them in writing that you want to cancel service. Next include each service type, service location, circuit ID, line types, wireless lines, plan description, data cards, detailed usages, and any extra feature and fee details. For a true comparison of Service Providers service fees and deliverables an accurate detailed inventory is needed including all current service charges, fees and usages associated. Why is it important to review telecom contracts? Every commercial legal contract should be reviewed either by your legal department or through a company that specializes in telecom contract management (like Auditel). The SLA and MARC have legal contract commitments that should be analyzed to verify Service Provider revenue commitments, service level clauses, and contract termination clauses, terms and conditions, and expiration dates. This will help to avoid telecom penalties and extra charges monthly. We keep changing service providers but don’t see much change in our telecom billing, can you tell us why? We don’t recommend carrier switch to save money unless there are service issues. It is very important not to choose a vendor solely on price, Vendor service is very important and service uptime is most important. We recommend that you research the reliability and network availability of each service provider to determine their customer service, guaranteed bandwidth, network availability, uptime, maintenance, and reputation. Contact several existing clients to validate any service issues they’ve had, and the carrier flexibility in managing their services. Ask them about service outages, network availability, and percentage of service delays. Can you tell us what we should know prior to telecom contract negotiations? Any business should factor in several items when starting telecom service agreement negotiations. Begin at least five to six months prior to your contract expiration date. This will provide leverage especially if you have met all the contract requirements and volume levels. You may be offered the opportunity to renew your existing agreement. The competition between Service Providers varies based on economic times. Now is the time for you to consider reviewing your SLAs and MARC contracts to shave large percentages off your telecommunication budget. Contract termination clauses are challenging, but it is critical to understand them. They should be within your Service Agreements. Beware of stiff penalties if you terminate your contract or agreement and it’s not to the letter of the agreement. Don’t let your agreements and wireless contracts lapse, monthly billing may be acceptable, but it may not be saving your company enough. Does your Service Level Agreement (SLA) mention any business changes, ramifications, mergers, or acquisition clauses for office closures? Auditel reviews all voice, data, and wireless telecom service contracts. We review all the legal provisions in your agreement entirely. Auditel understands how to navigate telecom contracts and our telecom contract management helps our clients obtain the best telecommunications contract terms and conditions along with the best network availability uptime. We will review all the fees assessed for multiple routing 800s, 800 # service fees, Dedicated and Switched 800# fees, specific time of day routing fees, managed 800 routing fees, access charges, paper billing fees, managing toll free numbers, Management of the service level agreements. It’s not a good idea to be caught off guard by lapsing telecom contracts. When we review your voice, data, and wireless contracts we give unbiased advice that leads to savings. Contract savings comes from fully understanding the contract language and protection clauses placed by the various Service Providers. We make various recommendations to give your Organization added security and contract savings. Even when commercial contract isn’t up for renewal we still help you understand your voice, data, and wireless contract options. We give our clients all the telecommunication consulting advice needed to make the best decisions on whether to keep the current agreement or make changes. Is your Organization on the fast track with constant mergers, acquisitions, and change? If so, our voice, data, and wireless telecom contract management will ensure you are not missing any savings or protective clauses. Most wired, data, and wireless contracts last one, two, or three years. The provisions in some of the older contracts are becoming outdated due to changes in the data structure and service capabilities. Many companies opt to work on their own contract review until they run into issues, receive a penalty fee, or billing increases. For a detailed voice, data, and wireless contract review just give our offices a call and we will bring the added comfort of a full telecom contract management review. We will ferret out all of your contract details, review all the complex addendums and legal ease and record your expiration dates. Auditel will provide your business with the best contract review available.